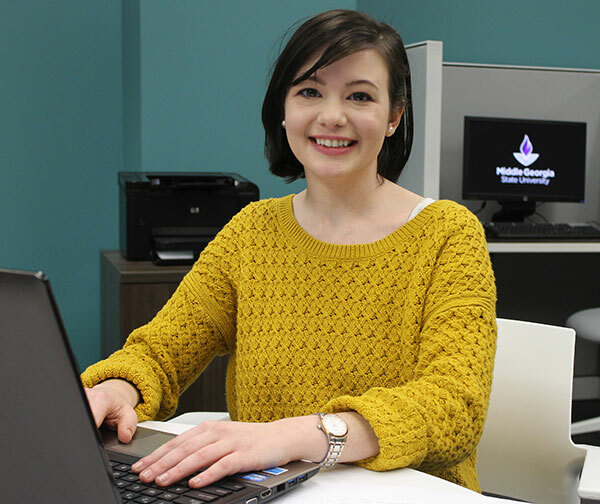 While helping other students as a volunteer at a recent MGA career fair, Alexandra Papadopoulos was sought out by a recruiter for a major employer and interviewed on the spot. Current Employment: GCSU Graduate Center. Degree Objective: Bachelor of Science in Information Technology with a concentration in Digital Forensics and Information Assurance. She holds a 3.66 GPA and has been on the President’s List the past five semesters.